We can’t help it, we all make assumptions about things and LinkedIn is no different. Just last week I was talking with a Chief Marketing Officer (CMO) who proudly told me that companies like theirs didn’t use LinkedIn … Oh really? When I showed him how many companies were on LinkedIn and what they used it for he was horrified! Company pages on LinkedIn have very different functionality to personal profiles, for example they can personalise the update you see based on your profile – yes that’s right personalised and contextualised updates for free! 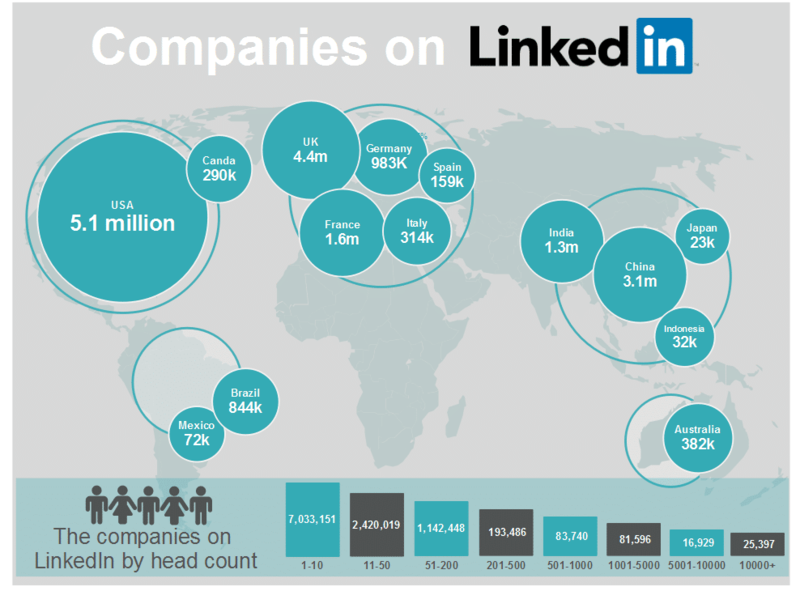 Here’s an infographic about company profiles on LinkedIn – where they are, how many and what size for you to enjoy. Ask people – it might sound obvious but have you asked people to follow your page? For some more ideas you might want to check out or follow our company profile, but if you want some assistance then check out our company profile help or get in touch.